I really can't believe the year my kids have had. Thankfully, they made it to 12 and 15 years old with almost no injuries. And that's saying a lot, since they both play sports. Then there's the every day kid stuff that takes its toll, but I guess we were lucky. Then last February, my older son broke his leg. Very badly. There is probably no good way to break a leg, but this injury was so severe we were transported 2 hours to a Children's Hospital where they performed emergency surgery to pin the fracture, after working to straighten the immensely swollen knee before compartmentalization became an issue. His leg was immobilized from groin to ankle in a Bledsoe brace for the next 6 weeks; the constant pain required strong medications. He missed school, sports, and social events. Six months later, he is just starting to return to full capacity. So, at least we have a new perspective in the household about what constitutes a catastrophic injury. This made my younger son's recent broken thumb slightly less alarming. Still, a broken thumb is no fun, and this is another bad break. One that required surgery and pins. His fingers and wrist are now encased in a cast, which makes writing impossible (of course it's his right hand). He's already nervous about school, as this is his first year in Middle School. Now he'll have additional challenges. Plus he'll miss fall soccer, which he's been waiting for all summer. In the meantime, we're working on how to handle school. We begin the Tuesday after Labor Day, so we'll have to scramble to get some accommodations in place. At the moment, we're finishing his summer work via a collaboration style of his dictating to me what to write. Unfortunately this requires a great deal of patience on both our parts--something we are short on at the end of summer. 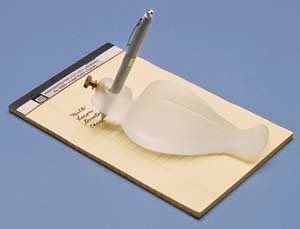 I've also purchased this "Writing Bird", which may hopefully allow him to write a little with his immobile hand. 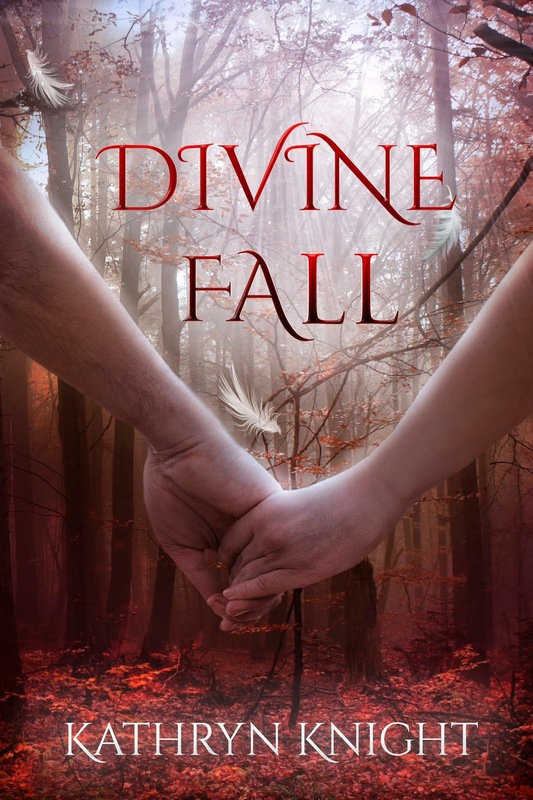 It's been one month since DIVINE FALL released! To celebrate, I'm offering a free e-copy to one lucky commenter. Leave a comment below to enter; follow my blog or FB page for additional entries (please note that below for me!). Don't forget to leave email or twitter info so I can contact you if you win. Check out the blurb and enjoy the last beautiful days of August. Fall is coming! When I started my first novel, SILVER LAKE, I was terribly naïve. I had no idea what I was getting into, or the enormity of the project I was contemplating. All I knew was that I had an excellent story in my head that I'd been creating for years, just waiting to be told. Rain and Jason would have been high school sweethearts if not for the boyfriend--they deserved a second chance at love. The mystery of Brandy's disappearance needed to be solved--and getting the former friends together at the lake house would be one last attempt to find out what happened that bleak February of senior year. The urgency was there--Brandy's mother was dying, and she needed to know what happened to her only child. Finally, Brandy's ghost deserved to rest in peace--but she couldn't, at least not until she managed to expose the truth. But would her friends gather together to help her get her message across? Not everyone wanted old secrets to come out. Like it or not, though...I was going to reveal it all. And so I began, thankfully, before I knew about the statistics. Ones like a typical agent accepts less than 1% of the manuscripts submitted. Or the one about how over a million books are published each year in the US alone, and that number is predicted to grow exponentially every year. The fact is, a staggering amount of books are added to Amazon every month. I was under the very foolish impression that IF I did it--finished the book--and IF a publisher felt it was good enough to contract--I'd be home free. A sort of "if you write it, they will read it" type of rosy outlook. False. Any writers reading this know that unless we're talking about a bestselling author name backed by a ton of marketing and publicity, "if you write it, they will read it" is not the case. There are so many books out there, all fighting for readers. And the number of Americans who have not read a single book in a year has tripled since 1978. Only 28% of Americans read 11 or more books in 2014, compared to 42% in 1978 (source: Pew and Gallup). Which brings us to self-promotion, which is something most of us HAVE to do if we want to at least make our books KNOWN to potential readers. If we don't put our book out there, the chances of someone just stumbling across it while browsing the 1.2 million titles on Kindle are not great (never mind the overall number of...wait for it...32.8 million books in all formats on Amazon). So we have to keep pushing our titles, at the risk of annoying our social media friends. It's a bit discouraging, since my goal, both when I started and now, is to entertain people who love to read. I love to read, and finding a great book that draws me in and won't let go makes me absurdly happy. In order to at least put my novels on the radar of people who enjoy romance, suspense, and paranormal mysteries, I have to self-promote. And I'm not complaining, because for the most part, I don't mind blogging, tweeting, networking, etc. I mean, don't get me wrong, it would be great if once I was done writing a book, it would just fly off the shelves with little effort on my part. But that's not how it is. And that's okay. I've learned so much as I navigate all the sites. I've met some great people and joined in some hilarious conversations. Social media allows authors to engage with readers in a whole new way, and it can be very rewarding and just plain fun. The problem is...there are only so many hours in the day. I teach fitness classes in the morning. Now I teach fiction writing in the evening. I have a husband, two boys, and several rescued pets, and they all enjoy being fed on a regular basis. Occasionally, some of them want to spend time with me. Almost daily, they want to be driven somewhere (well, not the cat...he hates the car). So time spent on promotion and marketing is time away from writing. Despite my hectic schedule and the dismal statistics, I'll keep on going, because writers have to write. It's what we do. Rain, Jason, and Brandy got their stories told, and then Claire and Max, followed by Jamie and Dothan. Now all the other characters in my head want their chance too; new ideas are constantly brewing in my imagination. And I'll continue with my marketing efforts, in order to increase the chances that my novels will make their way into readers' hands, and hopefully provide them with hours of excitement and entertainment. That's what it's all about! I'm very lucky to live year-round on beautiful Cape Cod, a place to which vacationers flock each summer. 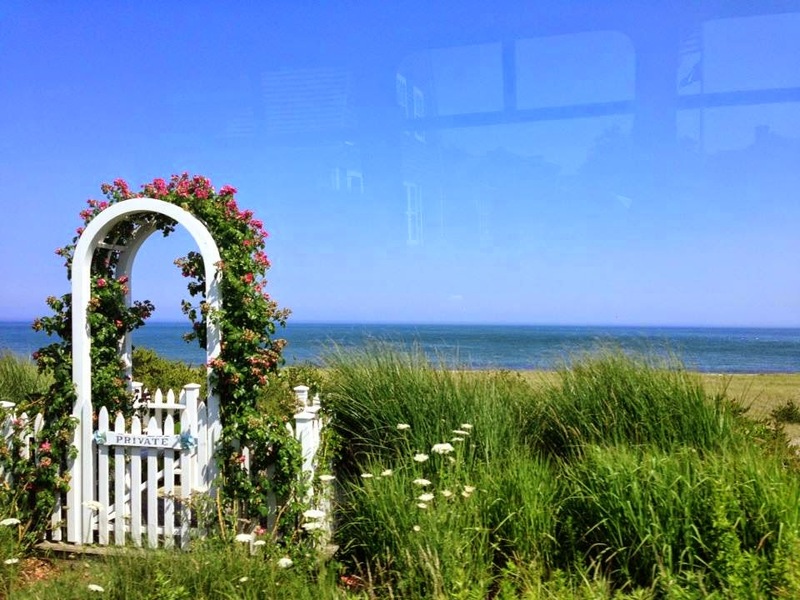 When people picture the Cape, the images tend to be coastal and quaint: beaches and lakes, inlets dotted with tidal pools, crimson cranberry bogs, shingled houses with window boxes, and yards filled with colorful hydrangeas. 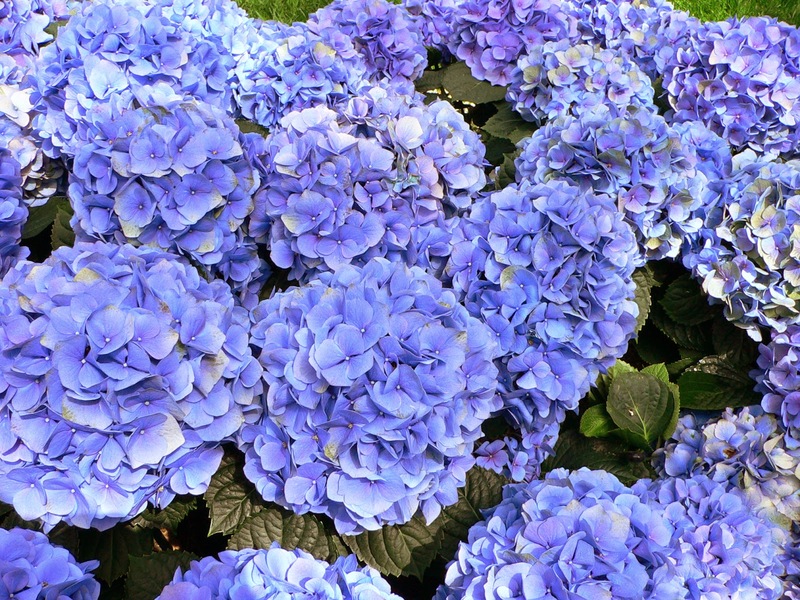 While some types of hydrangeas can be grown anywhere in Massachusetts, the familiar bright blue ball-shaped blooms only grow in certain areas; they require the climate associated with USDA Plant Hardiness Zones 6 or 7, which includes the coast, Cape Cod, and the Islands. These are the bigleaf hydrangeas: Hydrangea macrophylla. The mophead hydrangeas (the large, lush balls of flowers) and the lacecap hydrangeas (the looser clusters of flat flowers) belong to this group. I'm an enthusiastic gardener, although not a great one. However, Hydrangea macrophylla grow easily on Cape Cod, due to its acidic, sandy soil. So over the years, we've added almost a dozen to the yard. The shrubs need minimal care, and we're rewarded with huge spheres of vibrant blue and purple flowers all summer long. Until this summer. ﻿﻿The Cape is mourning its hydrangeas this year. One of the reasons Hydrangea macrophylla can flourish here is our warmer winters. People envision Massachusetts as a cold Northern state, but Cape Cod sticks out into the ocean, surrounded by water in every direction. The temperature of the ocean water helps keep our air warmer during the winter months. But this past winter was brutal (see: Good Riddance, February). The summer blooms come from the "old wood", the stalks that are exposed to the cold and frost all winter long. Generally in the spring, leaves and buds begin to grow from the old wood, as new growth emerges from the soil to fill out the plant. But apparently the winter this year here was so cold, the freezing temps actually killed the old wood. While new growth came in as expected, the buds on the old wood never appeared. 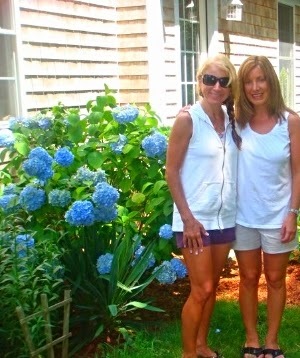 Here's a picture of me and my sister in 2011, in front of one of our hydrangea bushes. It was newly planted earlier that year, and still, it produced a lot of flowers. Below is the picture from this year--already August, and only two lonely blooms. This is hardly a tragedy, but the beauty of nature is one of those things that makes us take a moment to pause and appreciate our surroundings. And gardening, like writing, is one of those endeavors that requires hope and patience to see a payoff. So it's hard to watch the gorgeous shrubs fail to flower this year. But each fall, I usually clip a few of the giant blooms, hang them to dry, set them in small vases, and appreciate them all winter. I'll just have to dust off the ones from last fall and enjoy them for one more year. 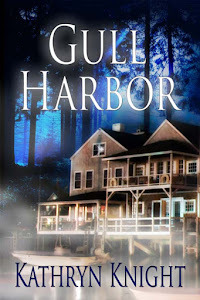 If you need a taste of Cape Cod as the summer winds down, try my ghost story/romance GULL HARBOR. I set this one near the National Seashore, by one of the Cape's many kettle ponds. Claire's a medium, in town to rid an old house of its aggressive poltergeist. 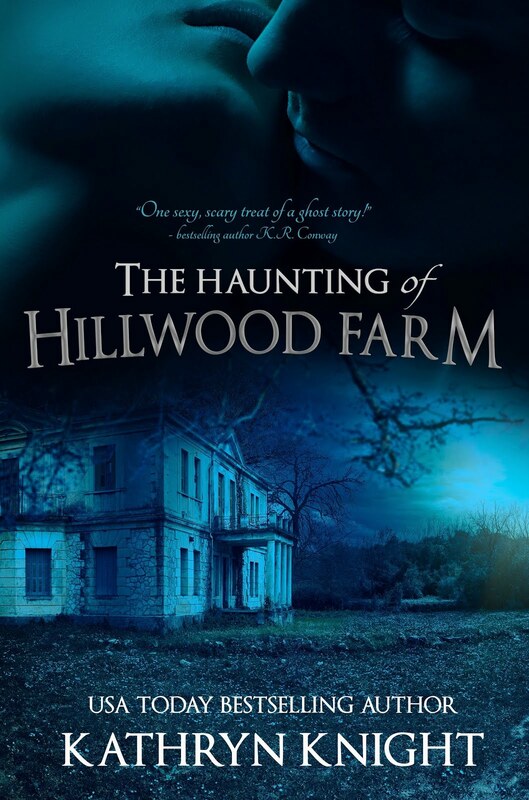 She's expecting a challenge as she investigates the haunting--but she never expects to encounter Max Baron, the man who promised to love her forever, then abandoned her without a hint of an explanation after college graduation. Is Gull Harbor big enough for both of them? 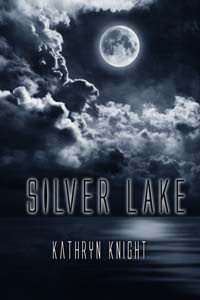 Short and sweet post...about my steamy and spooky debut novel, SILVER LAKE...which turns 2 years old this month! 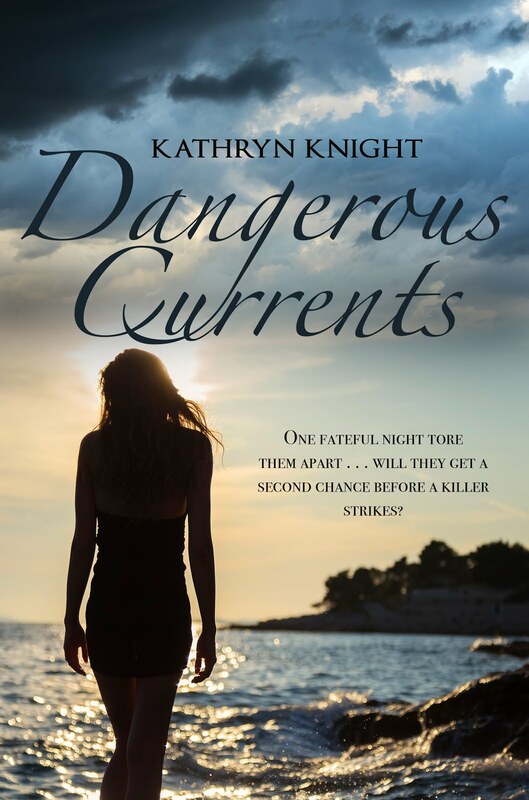 The Wild Rose Press helped make my dreams come true, and to celebrate, my fantastic publisher has put this title on sale for 99 cents (a savings of $4.00!) for the next week on both Kindle and Nook formats. Grab your copy now! Links and blurb below--why not give it a try? As the reviewer at A Novel Review said, "I could not put this book down. 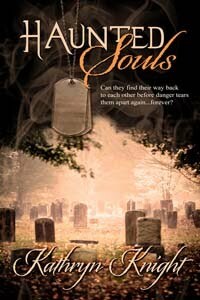 Romance, drama, renewal of friendships, and ghosts...something for everyone." And less than a latte! Rain Anderson can't decide which is more unsettling--encountering the ghost of her missing friend, or reuniting with the man whose love she foolishly rejected. But one thing is certain: the past has come back to haunt her, quite literally. Five years ago, Rain's tight-knit group of high school friends unraveled when one vanished during their senior year. Now, a parent's deathbed request has reunited the friends at Silver Lake, including Jason Lansing, the man Rain discarded. Rain and Jason discover the powerful attraction between them has survived, but though Jason is willing to forgive, he can't let himself forget. The possibility of falling for Rain again is too risky. Slamming doors, crashing objects, flaring fires--clearly the ghost has a message to share. As Rain and Jason struggle to unravel the truth, they must face a desperate spirit in need of help--and a burning passion that refuses to die. Jamie Fraser and Claire Randall in Outlander...this time travel story takes Claire from 1945 to the Scottish Highlands of 1743. Jamie is a young, fierce warrior with a sweet and innocent side...who doesn't love a hot Highlander? And when fate throws him together with Claire, a strong and competent combat nurse from the future, he nicknames her "Sassenach", which is Gaelic for "Outlander", i.e., someone not from Scotland. I love everything about Jamie - his speech, his insight, his courage, and his protectiveness. Claire is already married...but in another time and place. There were times, while reading this, that I found myself sobbing. That's a compelling couple and amazing writing. 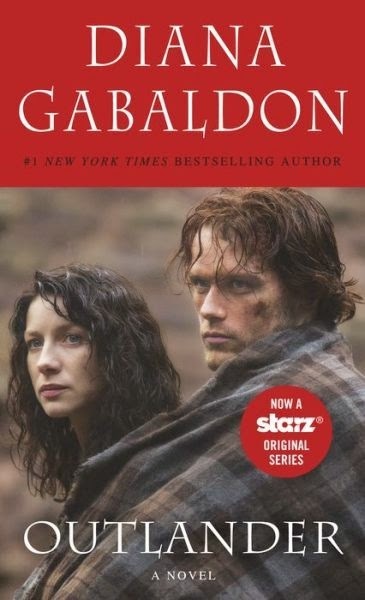 To celebrate the airing of the series on Starz, I put together a post of some lesser-known facts about the Outlander series and the amazing author, Diana Gabaldon. Diana is not Scottish--in fact, she took her first trip to Scotland after the Outlander manuscript had been sold to a UK publisher. Her last name, pronounced GAA-bull-dohn (last syllable rhymes with "stone"), is Spanish in origin. The idea for both the historical setting in Scotland and the character of Jamie Fraser came from an old British rerun of a Dr. Who episode, "War Games". On the show, a Scotsman in a kilt named Jamie MacCrimmon made an impression on Diana; the actor's name was Frazer Hines. Crazy update (August 23) - it's been announced that Frazer Hines, now 70, will be joining the cast of Outlander as Sir Fletcher Gordon, the governor of Wentworth Prison! Talk about full circle. Another new update: Diana has a cameo appearance in the fourth episode, "The Gathering". She'll play the role of Iona MacTavish...the scene takes place in one of the galleries over the Great Hall, and includes a few lines of dialog. The mesmerizing theme song for the Starz shows gives me chills every time I watch - I refuse to miss even one second. The haunting melody that plays during the opening credits was created by Bear McCreary and features his wife Raya Yarbrough singing. You can download "Skye Boat Song" on iTunes here! Diana actually wrote Outlander "for practice", to learn how to write a novel. It was never intended to be read by an audience. She began writing it on March 6, 1988. She holds three degrees in science, including a Ph.D. in Quantitative Behavioral Ecology; she also wrote comic books for Disney (Scrooge McDuck) before beginning her novels. Outlander won the Romance Writers of America's prestigious RITA Award for Best Romance in 1991, the year it was published. Diana inserted a nod to her first name in the third book in the series, Voyager. Jamie and Claire sail on a ship called Artemis--the Greek counterpart of the Roman Goddess Diana. 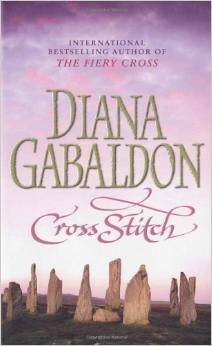 The UK version of Outlander is titled Cross Stitch (a reference to time travel); this was the working title. Diana does not work from an outline, and she gets most of her writing done between the hours of midnight and 4:00 a.m. There will be at least one more book--the 9th--in the series. Diana already knows what the last scene in the entire series is: she wrote it ten years ago, after the idea came to her in the middle of the night. However, the story can still evolve in unexpected ways, as that last scene is really more of an epilogue. Certain hints during interviews point to this epilogue having something to do with one of the first scenes in Outlander, during which a mysterious ghostly figure of Jamie appears to Claire in 1940s Scotland. Anytime I'm asked, during one of my own author presentations, who my favorite author is, Diana Gabaldon is my immediate answer. I gather so much inspiration from her writing, although I don't write within the Historical Romance genre. However, I do write Romance with paranormal elements, and while certain paranormal themes--time travel and witchcraft, for example--play a significant part in the Outlander series, it's the sexual tension she creates between the characters that I study. Plus, there are certain scenes I just happen to enjoy reading over--and over--again! Fans of the series will know what I'm talking about...those moments in the book where words make our hearts physically ache or joyfully soar. In terms of similar books, the closest I've found to evoking the same type of feelings as Outlander within the Historical Romance genre is The Bronze Horseman, by Paullina Simons. This series is set in WWII Russia, not 18th century Scotland, but it's truly amazing. If you like a bit of paranormal with your romance, try one of my books! 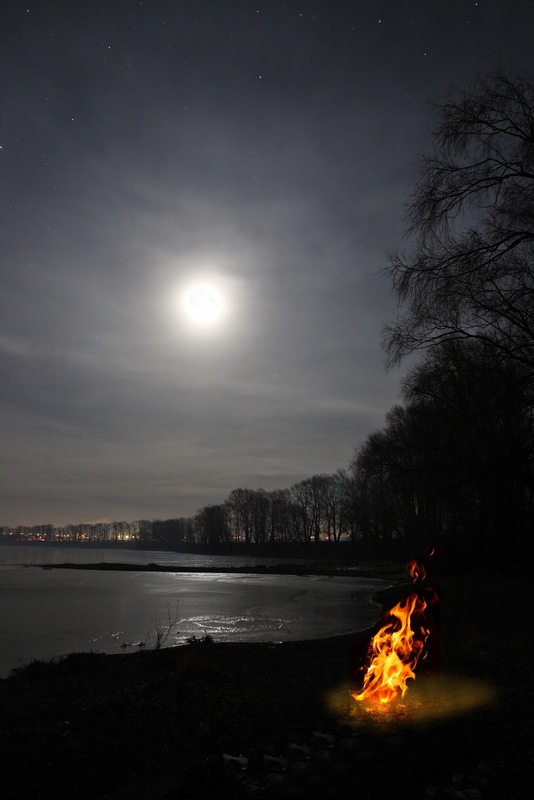 Both Silver Lake and Gull Harbor are reunion romances mixed with ghost stories. 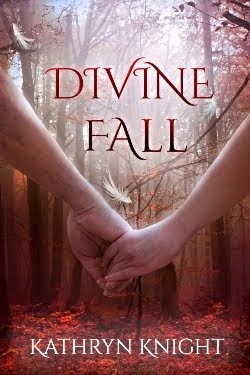 My new Young Adult novel, Divine Fall, involves a fallen angel, or Nephilim, who gets tangled up with a human girl as he follows his quest for revenge. Happy reading, and enjoy the Outlander premier! For some pictures of the actors cast to play Jamie and Claire, visit my Outlander Pinterest board. Jamie is portrayed by Sam Heughan, and Claire is played by Caitriona Balfe. For Game of Thrones enthusiasts like myself, one last fun fact: the actor playing both Frank and Black Jack Randall is Tobias Menzies, who also portrays Edmure Tully in GoT (see "E" in my A-Z GoT list). Fantastic casting all around! I consider myself very lucky to live on Cape Cod...I grew up in the Washington, D.C., area, which is wonderful in its own right, but my little hometown of Bethesda has grown into a city over the years. We moved to the Cape in 1998, when my husband was transferred to the Coast Guard base here. Once we'd spent a few years here, we decided this was where we needed to stay to raise our family. Yes, it's fairly quiet (blissfully so, actually) in the off-season--but when summertime hits, the entire peninsula explodes with seasonal residents and tourists. And our house becomes a virtual bed and breakfast, hosting all our family and friends. The Cape Cod National Seashore is simply breathtaking. However, in the summertime, parking anywhere near the beaches becomes an extreme sport. We get an early start and head to Wellfleet (home of the drive-in movie theater that is also an antique/flea market several days a week). At Cahoon Hollow Beach, we park in the Beachcomber Restaurant's parking lot, which is open to the public but does fill up quickly. You have to pay a small fee, but in return you get a coupon for the restaurant in the same amount, which is helpful around lunchtime. Getting down to the beach requires a zigzag path down the steep dunes. You can often see seals swimming not too far off shore; however, the great white sharks have arrived as well, now that the seal population is protected and flourishing. Even though the sharks aren't looking for humans, mistakes can (and have) been made, so we don't swim out too far. There are also tons of kettle ponds around, along with shops to rent kayaks and canoes to enjoy freshwater fun. GULL HARBOR, the title of my second novel, is a fictional town loosely based on Wellfleet. You can see some of the pictures I used for the setting inspiration here. On Friday nights, Coonamessett Farm in East Falmouth offers Jamaica Night - a Jamaican buffet with tons of authentic food, plus fantastic steel drum music by Vernon ("Vern-mon"). It's BYOB or wine, so you can come in with a cooler, set up at a table, and enjoy the food and music. For the kids, there are play areas, tons of animals to see, little tractors to ride, and of course, dancing...the adults all join in, as well. There's a little ice cream shop, a gift and produce store, plus ornamental plants for sale. We always enjoy ourselves here, and it was perfect for my little nieces and nephew. Christmas Tree Shops is my sister's must-visit store on the Cape. If you've never seen one of these, it's worth stopping in. No, it's not all about Christmas. It has the oddest and largest assortment of items, from hair accessories to beach towels to furniture, for extremely low prices. We end up with a ton of stuff, some of which we had no idea we needed. But we never break the bank! Our guests with older kids allow us to take longer daytrips. 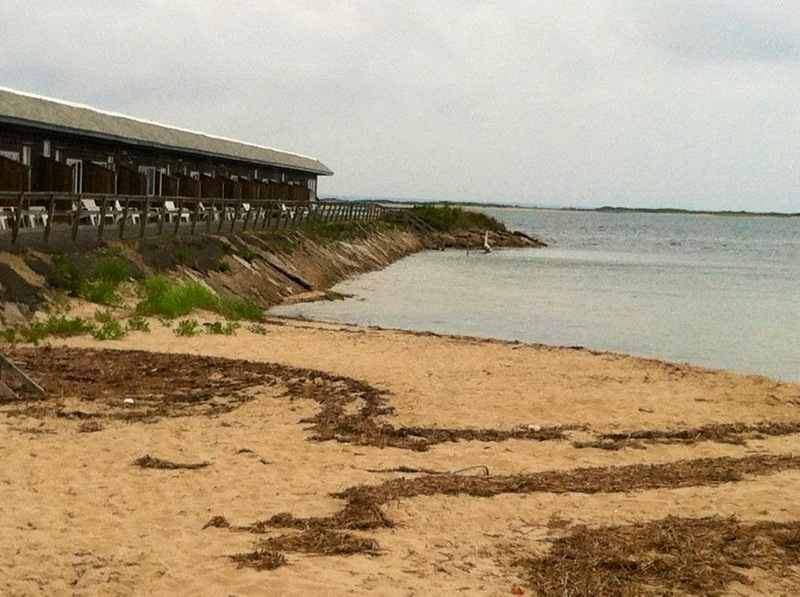 We always visit Provincetown, the quaint and quirky town at the very tip of Cape Cod. While it does become a bit wild at night, during the day it is filled with families shopping, eating, visiting the Whydah Pirate Museum (home of the only authentic pirate treasure in the world! *2017 edit- this museum has now moved to Yarmouth) and the Pilgrim Monument (did you know the Pilgrims landed in Ptown first, before sailing on to Plymouth? ), biking the trails, and hitting the beaches. We almost always do the Shining Sea Bike Trail (Bikeway), starting in Falmouth at the Corner Cycle bike rental shop (should our guests need bikes) and then biking past ponds, beaches, marshland, and in and out of the woods all the way to Wood's Hole, which is the a gorgeous little village at the extreme southwest corner of the Cape. We eat lunch, visit the Woods Hole Aquarium, get ice cream and coffee, and bike back to Falmouth. 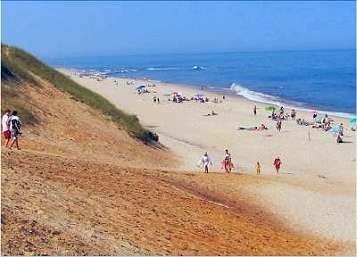 In Mashpee, there's a state beach anyone can visit (South Cape Beach), and nearby, within the New Seabury community, there are wonderful beachfront spots where we like to get a bite and have a drink. 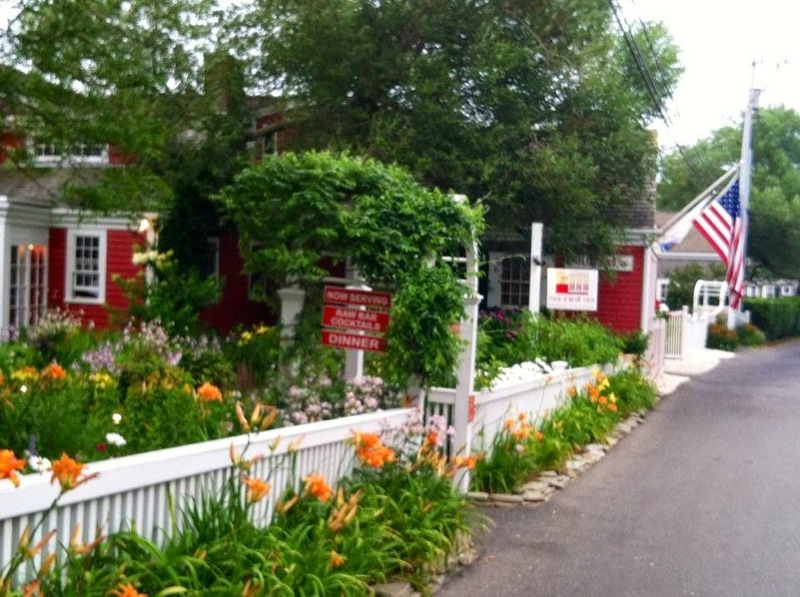 The Popponesset Inn is open to the public and overlooks the ocean--there's great food served both in the more formal dining area or in the more casual tavern/bar section. A short walk down the crushed shell paths leads you to The Lure, a new raw bar right on the beach. There are tables and big Adirondack chairs, a light menu featuring seafood (try the famous lobster roll! ), and a full bar. Many nights also include a local band providing musical entertainment. A few of our favorite restaurants are in Hyannis: Tugboats, right on the harbor, and the Beech Tree Cantina, located on Main Street. Tons of shopping and fun activities along Main Street Hyannis as well! We also love Anejo in Falmouth; Main Street Falmouth is another collection of cute shops and old houses. Two beautiful islands are a ferry ride away: Martha's Vineyard and Nantucket. This year, we did Nantucket, which is smaller and farther away. However, on a weekday, you can get high-speed ferry tickets (round trip) for $50 and get there in an hour from Hyannis. Once you are there, you feel like you're in another world. The entire island should be in the dictionary under "quaint". Cobblestone streets, converted fishing shacks, antique stores, shingled houses with names and hedge borders, conservation land, and waterfront restaurants fit together seamlessly. You won't find a neon sign or a billboard--there are strict rules that keep Nantucket pristine and unique (don't look for a Starbucks or a McDonald's here!). I highly recommend one of the bus tours--you learn so many interesting facts and history about the island, and you get to see things you would not be able to see just walking around the downtown area. More on local attractions we love can be found in this blog post, with a focus on Martha's Vineyard, Provincetown, and the Spit. If you ever visit the Cape, consider trying some of these wonderful attractions! And if a trip to Cape Cod isn't in your immediate future, you can still experience some of the local spots in GULL HARBOR, my ghost story/romance set on the Cape. Happy Summer!